Doctors are only human; mistakes happen. It is rare for doctors to do something (or fail to do something) to a patient out of malice. However, good doctors can make awful mistakes. There are, regrettably, a small minority of emergency room doctors who simply do not belong in the ER. Either way, there is a duty by physicians and other health care professionals to treat their patients with an appropriate standard of care. Malpractice is a problem in every area of medicine. But the emergency room is the medical malpractice problem on steroids. The emergency room is not a forgiving place. There is little margin for error. Mistakes can't easily be fixed in the ER. People need proper care and they need it quickly to avoid making their condition worse... and keeping them alive. Mistakes happen far too often in Maryland hospitals because the emergency patient is not treated quickly. In most emergency room malpractice cases, the big problem is the failure to identify promptly a serious problem that could have saved the patient's life or at least minimized the scope of the injury. Our law firm brings wrongful death and medical malpractice claims that seek compensation from doctor's insurance companies and hospitals that do not give patients the care they desperately need. What Can Go Wrong In The Emergency Room? There are about 100 million emergency department visits annually in this country. We rely so much on the ER to provide quality care when we need it the most. Far too often, this goes very wrong. What happens? The short answer is everything can go wrong in an emergency room setting, many of which could be eliminated if physicians met the ordinary standard of care. Initial Intake: When patients arrive at the emergency room, they must be triage (that is, the ER must determine who needs to be seen first based on the severity of their complaints and injuries). Part of this triage usually involves the taking of a history—background information on the patient and the patient's physical complaints. When that process is rushed, important information is missed that can lead to misdiagnosis (or failure to diagnose) of a serious problem. Communication: Emergency room doctors and staff frequently fail to follow-up with the patient or the patient's primary care providers to ensure that potential problems are examined in detail. For example, when tests performed in the emergency room reveal (non-emergency) abnormal results, those results need to be communicated to the patient and his PCP for follow-up. Pharmaceutical/Medication errors: The wrong drugs can be given because of poor handwriting, poor communication, and simple error. The wrong medication in an emergency room can cause fatal or severe injury. 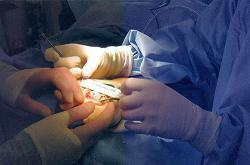 Surgical Errors: Surgical errors happen in all types of surgery. Emergency room physicians are not held to the same standard for surgery as specialists; however, they are held to the standard of knowledge and care of other emergency room surgeons. Surgical malpractice includes cutting the wrong part of the body (for example, nicking an artery), failing to diagnose and treat fractures, and leaving sponges or other medical devices in the patient. During surgery, anesthesia errors are also common. What's interesting is that most of these errors are not from the ER doctor themselves. One study suggests that ER mistakes were caused by specialist operating in the emergency room, not the emergency physicians. How Common Is Emergency Room Medical Malpractice? Emergency room mistakes are depressingly too common. A study published in the Annals of Emergency Medicine in 2007 reported on 122 malpractice cases. The authors found that 13% of missed diagnoses occurred in children. Four percent of missed diagnoses (irrelevant of age) resulted in adverse outcomes, and a staggering 39% resulted in death. The types of misdiagnoses included, in order of prevalence: fractures, infections, myocardial infarction, and cancer. These conditions accounted for more than 50% of all missed diagnoses. The researchers also reported that 52% of missed diagnoses involved emergency physicians, 28% involved general internists, and 20% involved surgeons. Physicians in training were involved in 56% of cases. The leading causes of missed diagnoses were found to be inadequate medical history, incorrect interpretation of test results and failure to consult. It was reported that physicians failed to order tests in 93% of cases as they did not realize the test was required, and 52% of the time the physician lacked the knowledge that the test was indicated. Misinterpretation was found to result from inexperience and mistakes in clinical judgment. The authors identified 11,529 claims arising from an event originating in an ER, representing over $664 million in total liability over the 23-year study period. Emergency physicians (EPs) were the primary defendants in 19% of ER claims. The largest sources of error, as identified by the individual malpractice insurer, included errors in diagnosis (37%), followed by the improper performance of a procedure (17%). In 18% of claims, no error could be identified by the insurer. Acute myocardial infarction (AMI; 5%), fractures (6%), and appendicitis (2%) were the health conditions associated with the highest number of claims. Over two-thirds of claims (70%) closed without payment to the claimant. Most claims that paid out did so through settlement (29%). Only 7% of claims were resolved by a verdict, and 85% of those were for the clinician. Over time, the average indemnity payments and expenses of litigation, adjusted for inflation, more than doubled, while both the total number of claims and number of paid claims decreased. Why Is There So Much Emergency Room Malpractice? It is axiomatic that emergency rooms are overcrowded. Maryland has the longest ER waiting times in the country, a 2017 study found. Many people believe this overcrowding is caused by the uninsured, particularly in these tough economic times. It makes sense because federal law requires that emergency rooms provide treatment regardless of a patient's ability to pay. Some studies support this (Use of Maryland Hospital Emergency Departments). What this means for urgent patients is that doctors, nurses and triage staff must provide care quickly to get patients out the door. Doctors work long hours with little sleep, many of them are students (particularly in the training hospitals), and all of these factors affect the level of patient care. So ERs that do not properly rest their doctors and nurses increase the risk. But, again, some of the best doctors make mistakes, and there are just some doctors - thankfully a small minority who should just not be emergency room doctors... or doctors at all. And, just as clearly, both in Baltimore and in some rural areas, there are some emergency room groups that should not have been given the contract to treat patients because they are not qualified or because they are understaffed in the ER. What Can I Do To Avoid Becoming An Emergency Room Malpractice Statistic? Talk with the doctors and nurses to determine exactly what caused your injury. Make sure you know what your instructions for treatment are. Do you need medication? How often should you take it? What kind of medication? Double-check your medication—make sure you get what the doctor prescribed. If something seems wrong, don't be embarrassed to ask questions. Write down every diagnostic test that was performed. Be sure to note whether x-rays or MRI scans were performed, and share that information with your primary care physician. Don't allow doctors or staff to rush around. Make sure you tell them everything that concerns you about your condition. Little details are important for a proper diagnosis. If you have been the victim of emergency room malpractice or you believe you may have a wrongful death claim for the loss of a loved one, contact our medical malpractice lawyers at 1.800.553.8082, or online for a free consultation.